Wyre is a first-generation blockchain company building third-generation cross border payment infrastructure to replace banking technologies that have been stagnant for over 30 years. Our technology allows us to transfer money into some of the most difficult-to-reach markets. Founded in 2013, we started with building the simplest suite of products and services which were designed to make it easy for consumers and businesses to use blockchain technologies. 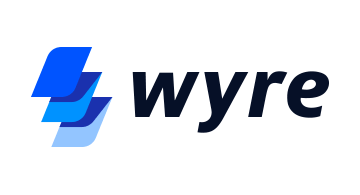 Wyre is an enterprise-level API and dashboard which allows companies to instantly send funds worldwide, without taking on any price volatility, and for a fraction of the cost. Our goal is to change the future of how international payments are done.